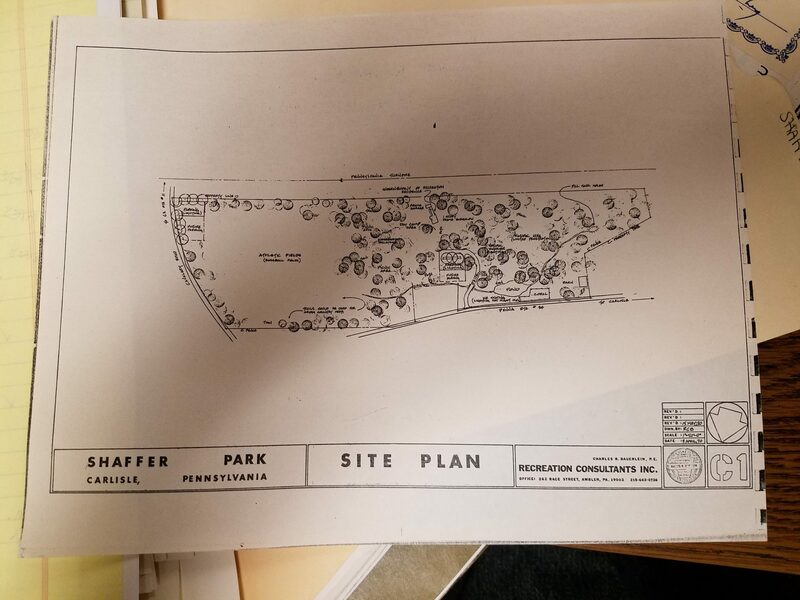 Shaffer park has been slowly cut down in size since its acquirement in 1968 by the Borough of Carlisle from Charles M. Shaffer. Originally, there was a detailed plan to attract visitors to this newly acquired land, which included two baseball fields, dedicated parking lots, and trails that would be capable of hosting local cross country meets and general walking use. The problem with these plans seems to be the extravagant cost that the Borough would have to pay for these renovations. It was estimated to cost 85,820 dollars to go through with these plans from 1971, which is more than they paid for the land in the first place. It was also eventually agreed upon that the land was unfit for ball fields due to their close proximity to each other. 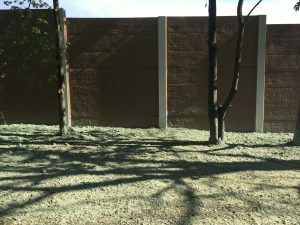 After this proposed renovation never came to fruition, the land has been slowly sold off in an attempt to help fund renovations and acquisitions of other parks. This is most prominently seen when the Borough sold 12 acres of Shaffer park to a housing developer in an effort to purchase another plot of land called Seven Gables. Seven Gables, according to the Sunday Patriot-News, “had special value due to being host to three trees recognized by the Pennsylvania Forestry Association as the largest of their species in the state.” Seven Gables consisted of the last heavily forested area in Carlisle, which put pressure on the Borough to buy it before developers could start to come in. Doug Shaffer, son of Charles Shaffer, was part of the opposition to this portion of the land being sold off, due to his belief that the deed assured that the land would be used solely for recreational purposes, not for it to be sold off for capital gain. With the money gained from selling off part of Shaffer, they were able to acquire Seven Gables in 1998. In 2004, another portion of land would be sold off to Friends Automotive Inc., which consisted of the park property located northwest along Spring Road. The capital gain from this expense would be used to help renovate the community pool located in Carlisle. The final acquisition of land from Shaffer park was in 2015, when the Pennsylvania Turnpike Commission bought park land that was adjacent to the highway that ran along as a way to expand the highway. In return for this acquisition, the Pennsylvania Turnpike Commission put up noise barriers to help cancel out the sound.